The original Color Correct body shop and paint booth light, Full Spectrum fluorescent light bulbs with a natural light spectrum and layer penetrating capabilities. Factory LED lighting, high bay and tube or linear light, lighting diagrams, and room lighting photos using LED light. Note: Regarding T12 fixtures. They can be converted to run T8 size bulbs in either fluorecent or LED. - For our commercial LED Light dual receptical capabilities description, click here. Works with or without a T8 ballast. Pricing and ordering below. - For our color-correct LED Light 95 CRI description, click here. Pricing and ordering below. The lights in stock ready for shipment are indicated in yellow below. For questions, call Jim at 1-888-572-3899. Call Jim at 1-888-572-3899 for special volume pricing and pricing for other lamps. High Quality LED Lamps: 4' 83 CRI, 5,000 Kelvin, works with shunted and unshunted recepticals, very unique! Saves on install time. Color-Correct Lamps: 4' LED: 95 CRI, 5,000 Kelvin, works with unshunted and shunted recepticals. Works in converted existing fixtures. High Quality LED Lamps: 8' 84 CRI, 5,000 Kelvin, works with single pin recepticals within a converted existing fixture. Wire direct, no ballast needed. 30% brighter than a standard fluorescent lamp. *We have a new T12 8' that replaces the True Light F96/T12/TL. In fact it has better ratings and is priced better! Kelvin: 5600, CRI: 91, Big and bold lumens: 5600! Only 1376 in stock. 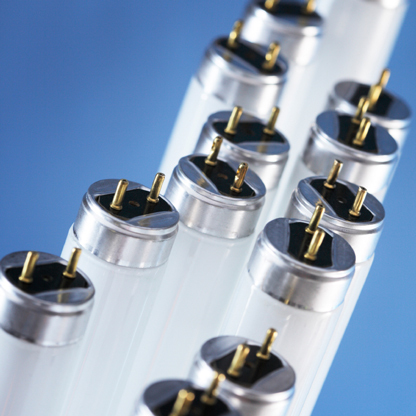 2 year warranty on fluorescent bulbs and 5 year on LED. If you are not 100% satisfied with the quality of these products as we have claimed, then we will issue a refund. These specialty lights are perfect for the following environments: office, studio, dental, dental lab,operatories, veterinary clinics, schools, gallery, assembly or inspection areas, auto body shops, clothing stores, grocery, retail, hospital, medical office, printing facilities, underground or windowless work areas, and any place where seeing detail, finish, color are important, eyestrain is a concern, and where productivity needs to be improved. Work smarter not harder! There is a sales tax charge in OHIO. If exempt in OHIO, please notify us and we will note your account.